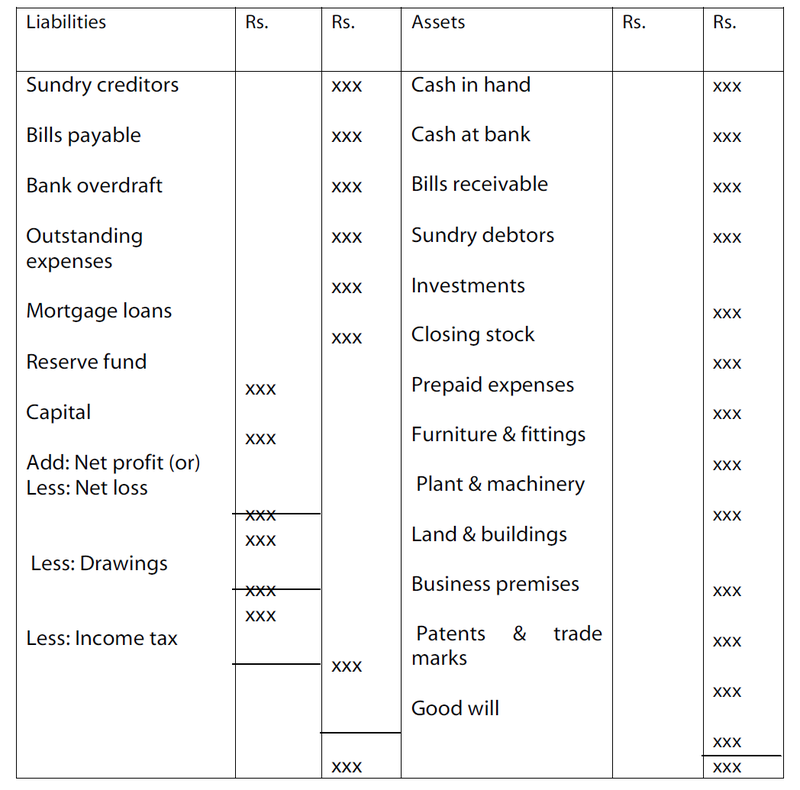 A Balance sheet or statement of financial position is a summary of the financial balances of a sole proprietorship, a business partnership or a company. Assets, liabilities and ownership equity are listed as of a specific date, such as the end of its financial year. 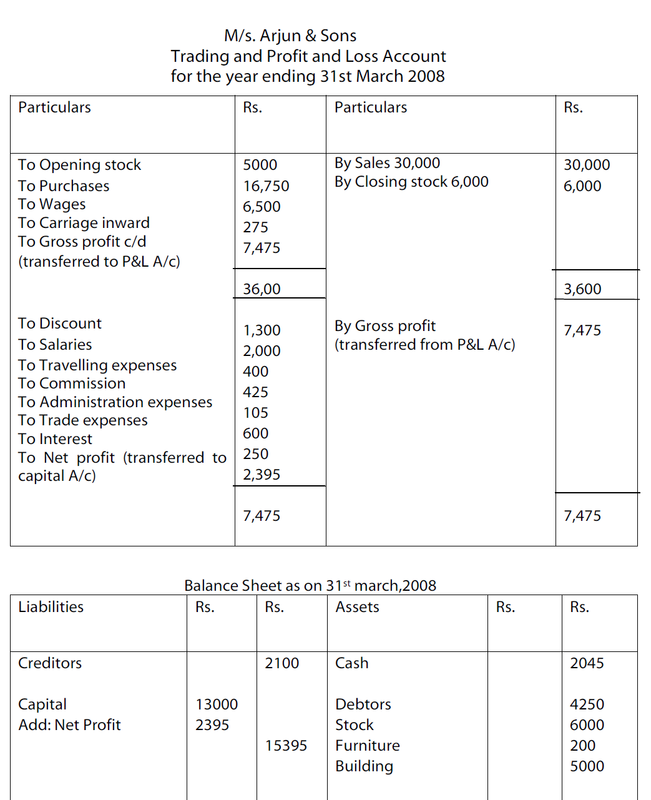 A balance sheet is often described as a snapshot of a company's financial condition. 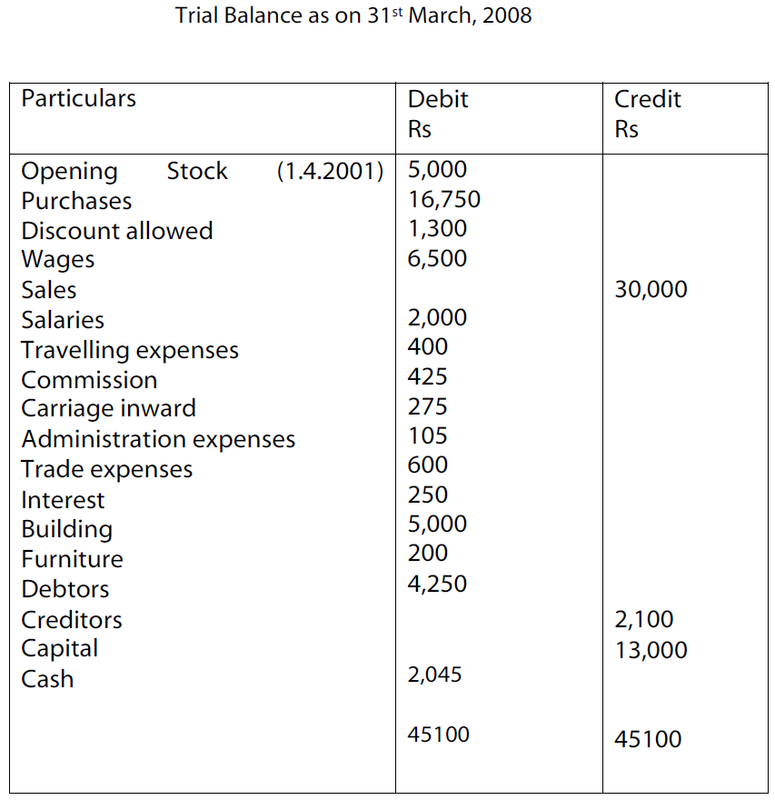 Of the four basic financial statements, the balance sheet is the only statement which applies to a single point in time of a business calendar year. To ascertain the total liabilities of the business. To know the position of owner’s equity. Fixed assets: Assets which have long period of life and cannot be converted into cash in a short period are termed as fixed assets. Current assets: Assets which can be converted into cash in the ordinary course of business and are held for a short period are known as current assets. For example, cash in hand, cash at bank, sundry debtors etc. The assets which have no physical existence and cannot be seen or felt. They help to generate revenue in future, e.g. goodwill, patents, trademarks etc. The amount which a business owes to others is liabilities. Credit balances of personal and real accounts together with the capital account are liabilities. Long Term Liabilities : Liabilities which are repayable after a long period of time are known as Long Term Liabilities. For example, capital, long term loans etc. Current Liabilities : Current liabilities are those which are repayable within a year. For example, creditors for goods purchased, short term loans etc. Contingent liabilities : It is an anticipated liability which may or may not arise in future. For example, liability arising for bills discounted. Contingent liabilities will not appear in the balance sheet.